Bollywood actor-producer Arbaaz Khan has been in the news both for personal and professional reasons. The Khan parivaar is a perfect example of what sticking together with each other through thick and thin actually means. So, when Arbaaz and Malaika headed for a separation, family and friends backed them. The two continue to stay friends and are often seen hanging out with each other and son Arhaan Khan. Arbaaz meanwhile has been reportedly dating Georgia Andriani. He was recently spotted with his rumoured ladylove at Sanjay Kapoor's house party. 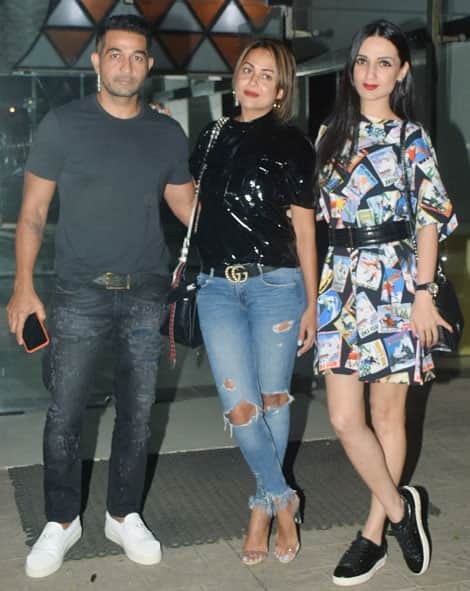 The duo was also seen bonding big time with Amrita Arora and her husband Shakeel Ladak.